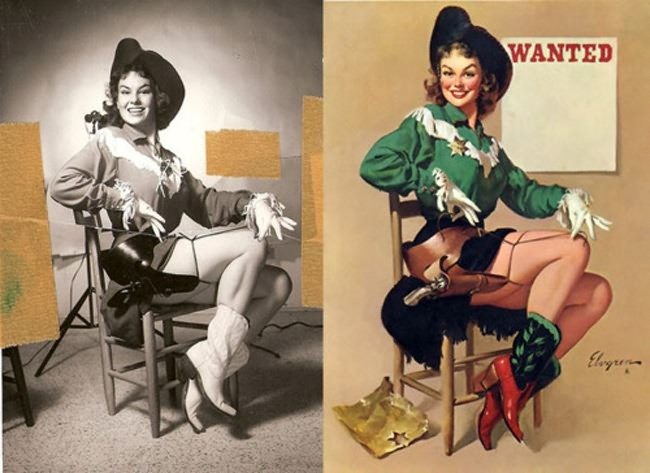 As some artists use pure imagination to draw or paint their artworks, others may prefer to create the work by using a real life model as a reference for the the anatomy and scene study. 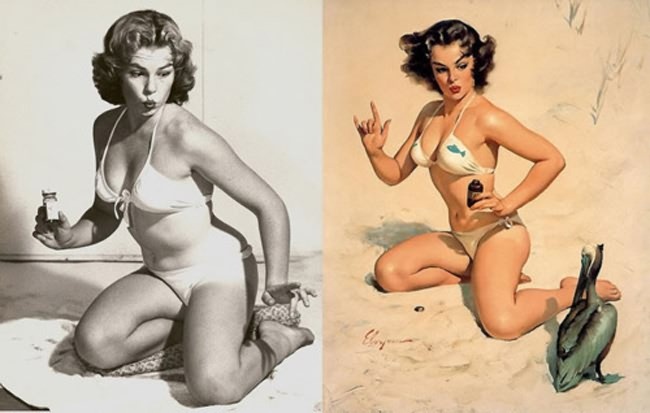 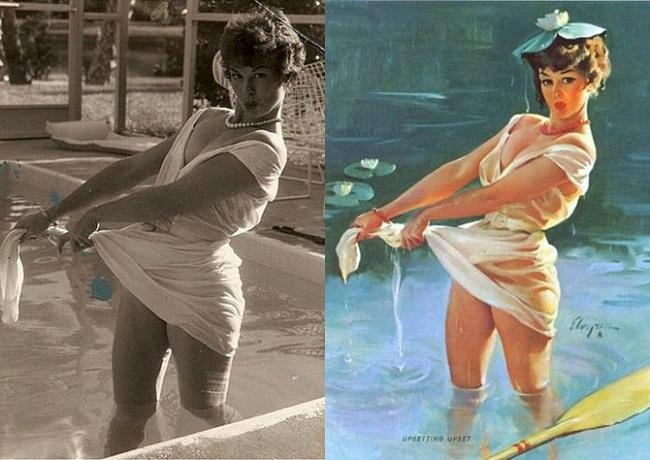 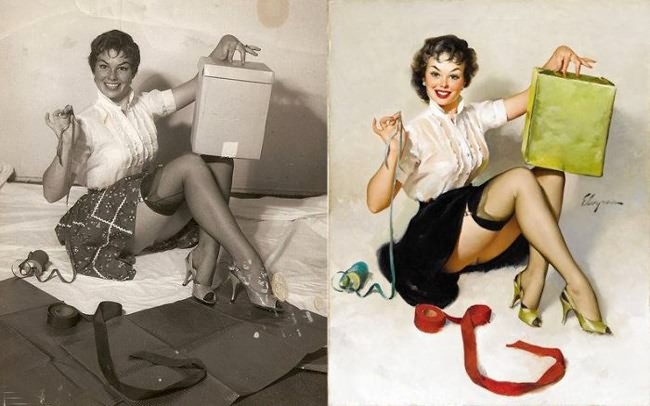 And so here are several pin-ups that you've probably seen before, paired with the real life models that you may not have seen before. 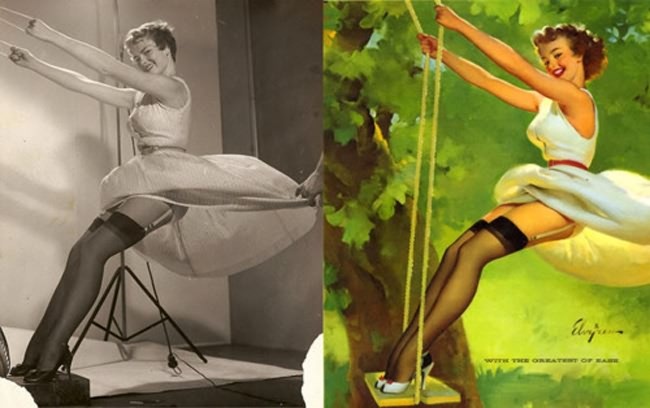 We don't so much see these beautiful retro designs anymore, and when we do, they are usually used to make or portray the humor in old retro ads. 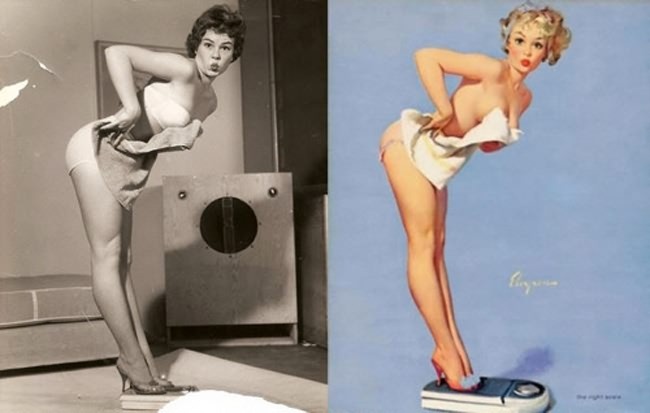 That is really sad because the graphical depth of retro ads really brought something to the table, and honestly, I don't see why we couldn't revive these kinds of ads in today's society. 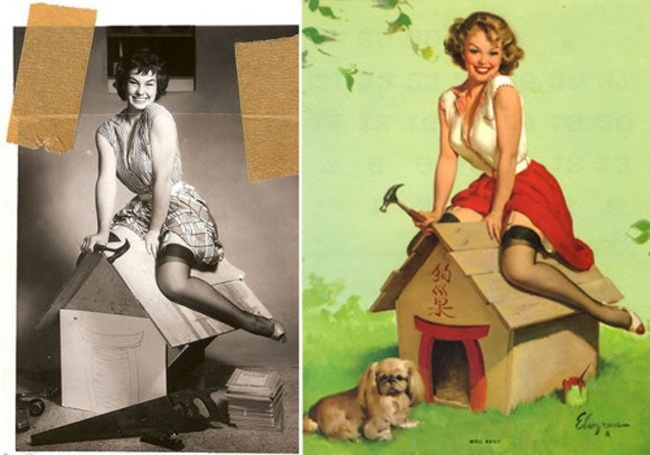 Who knows, they might do what most ads don't manage to do today, and that is to sell the product with a touch of honesty.